Join your fellow Chargers and their families and friends at the following events. All will support the Relay For Life of Shorecrest, benefiting American Cancer Society. Whether you can attend or not, you can help us out by spreading the word! Even those who aren't Chargers can help this cause! Invite your friends, share our posts on Facebook or Instagram, or retweet SPS on Twitter! Relay For Life Car Wash on campus, 9am-Noon. Middle School Rock Bands and "special guests" perform at M-N-M BBQ, 2827 16th St N, St. Pete. OK to park in Big T Printing parking lot next door! 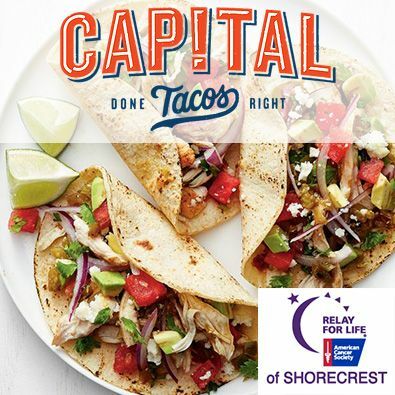 A portion of all food sales during the event will go to Relay. The Main Event! Relay For Life at Shorecrest. Join us on the track after dismissal and all night long! Print a flyer of all the events here.